I present detailed instructions on the tuning of EH antennas. I threw out my first EH antenna onto a rubbish heap, because I was unable to tune it correctly and as a consequence, it worked badly. My second EH antenna was heading for the same fate if it were not for the help of Ted Hart (W5QJR), who kindly explained how to correctly tune EH antennas. ATTENTION: WHEN TUNING EH ANTENNAS PLEASE OBSERVE GOOD SAFETY PRACTICE DUE TO THE LARGE ELECTROMAGNETIC FIELDS GENERATED AT AND ON THE ANTENNA ITSELF. DO NOT TOUCH ANY PART OF THE ANTENNA WHILST FEEDING IT WITH A FEW WATTS WHEN TUNING OR OPERATING. As explained earlier, I expended a lot of time and experienced great difficulties tuning my early EH antennas with little success. I contacted Ted Hart (W5QJR), who sent me a letter that explained exactly what I must do to successfully tune my EH antenna. I realize now that my first EH antenna was roughly tuned but after receiving Ted’s letter and with more experience of EH tuning, everything began to turn out quickly and well. 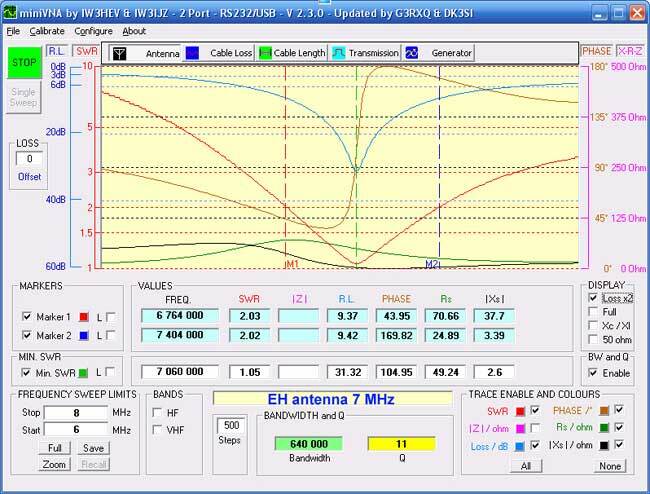 I now understand what equipment and devices are necessary for the quick and easy tuning of EH’s as well as preparing the antenna itself for final tune. 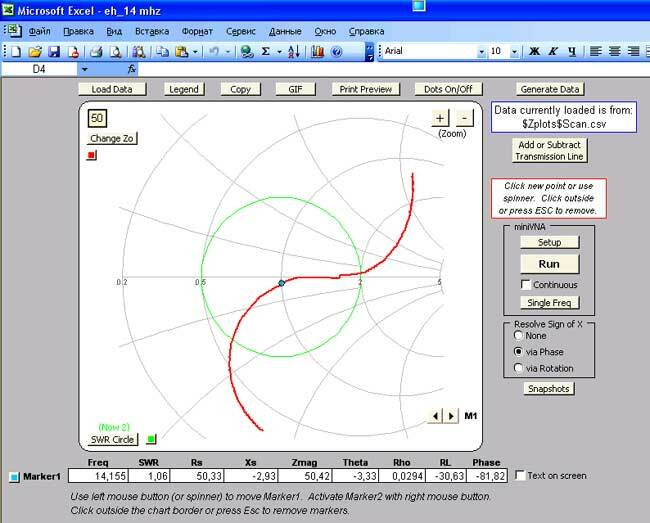 I briefly re-cap on tuning of EH antennas recommended by Ted Hart a few years back, and add my own insight and experiences to aid the easy flow of information. This document was prepared to provide information to ensure the proper tuning of the *STAR* version of the EH Antenna. When the tuning is correct and complete, the antenna offers high efficiency and broad bandwidth. Unless the tuning is correct, the performance will be very poor. The EH Antenna is unique in that there are two considerations that must be satisfied. 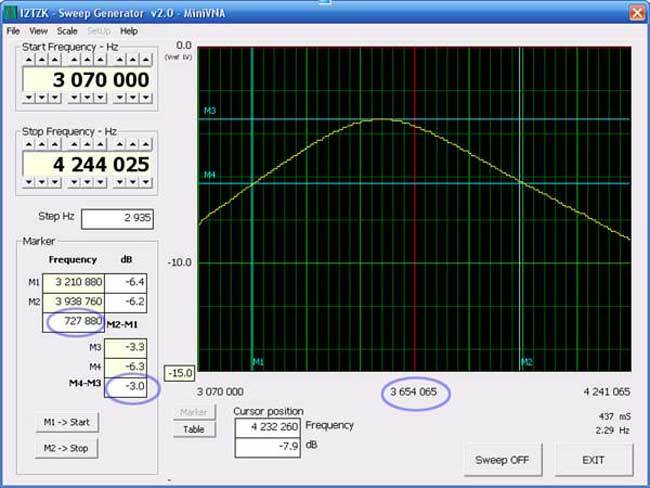 Typical antennas need to be tuned to resonance and impedance matched at the desired frequency. The EH Antenna has the additional requirement of having the proper phasing to be an EH Antenna. This allows the E and H fields to be in time phase. When the phasing is correct and the antenna is resonant and impedance matched, the EH Antenna becomes an exceptional antenna. Many experimenters fail to understand this concept, thus the antenna they build does not accomplish its full potential. In fact, the performance will be poor even if the VSWR appears good. How can that be? Again, you can match almost any antenna, but the radiation resistance may be very low (especially for small antennas), thus efficiency is very low, unless you properly phase the antenna to cause it to be an EH Antenna. When the phasing is correct and the impedance is resonant and matched at the desired frequency, then the antenna achieves its optimum capability as evidenced by a large radiation resistance and low VSWR at the same frequency. When the antenna has been constructed , connect a signal generator and sweep the frequency range to determine where the maximum radiation occurs, as noted on a simple untuned diode field strength meter. For this test set the feed point tap approximately 1 turn up from the ground on the feed coil. Adjust the tuning coil to bring the maximum radiation frequency to approximately the desired frequency. This is best done by tapping down on the tuning coil from the top. It is necessary to point out that the antenna frequency and impedance is strongly affected by connections to the antenna. If the antenna is to be mounted on a wood, plastic, or other insulated support, the feed line needs to contain a choke. We prefer 1/8 wavelength of coax wound around a wood or plastic pipe and spaced below the antenna about 3 to 5 times the length of the antenna. If the antenna is to be mounted on a grounded conductive structure (tower), then the choke is not necessary. The antenna ground connection must be connected to the tower. The next step is to adjust the feed point tap and source impedance. Because these are interactive, one can not be set without affecting the other. First, set the tap to give an impedance of 50 to 100 ohms. Measure the reactance and insert a reactance of the opposite sign with that value. This will require a coil or capacitor having a reactance value of less than 100 ohms. We have not yet determined why some antennas require a coil and others a series capacitor. It does seem that when the tuning coil is the same diameter as the antenna cylinders a coil is needed. If the diameter of the tuning coil is much larger than the cylinders a capacitor is typically needed. For many higher frequency antennas the source impedance is only a few turns of wire to form the necessary reactance. It will be necessary to adjust both the feed tap on the tuning coil and the source reactance to give a feed point impedance to match the transmission line. The task is very difficult without the proper measuring equipment. If the equipment is not available, then trial and error must be used. The desired end result is that the frequency of maximum radiation must occur at the same frequency as minimum VSWR. If all adjustments are correct the you will have close to a perfect VSWR. After all of this the antenna may not be at exactly the frequency you desire. You have a broad range of tuning capability without affecting the matching. You may change the frequency either by changing the number of turns on the tuning coil (or by sliding a copper or aluminum slug inside the tuning coil or a copper or aluminum sleeve over the tuning coil. The internal slug can be moved by a small screw mechanism connected to a small electric screw driver to allow remote tuning - this is for cilindical EH antennas, note UA1ACO). Do not use high power (more than a few watts) without ensuring that the desired operating frequency is the same as the maximum radiation frequency of the antenna. Assume that you typically run 100 watts and that you are only 3 dB away from the optimum frequency of the antenna. That means that 1/2 the transmitter power will radiate and the other half will be converted to heat. 50 watts into a small coil on a plastic form may leave some carbon traces where the antenna went up in smoke. Be very careful if you use a antenna tuner to correct a problem in the antenna at the wrong end of the coax. Why is the EH Antenna so critical? What we have said, except for the phasing, applies to any antenna. Large antennas can dissipate heat and not go up in smoke. Ever wonder why some Hams have much better signals than others? Some just never bothered to tune and match that big dipole. They prefer to use an antenna tuner to make the transmitter happy in preference to a strong radiated signal. The best dipole is an inverted V because it allows you to vary the angle between the legs of the dipole to match to 50 ohms. The very best dipole uses a 4:1 balun to match to a 200 ohm inverted V made of open wire as a folded dipole. It is very efficient and broadband. This was written to offer advice and help you get the most from your EH Antenna. I would like to thank Ted for his very helpful letter, whose recommendations on tuning EH antennas helped me an awful lot. Since those early days I have acquired lot of experimental skill in building and tuning EH antennas: this can only come with practice. In the beginning I used an "MFJ-259" and field strength meter "ROGER RFM-13", although very useful, they do not allow you to see all the necessary antenna parameters and how they change in unison when you physically alter cos etc. on the antenna. As a result, and after a short reflection on what is currently available i.e. AA-330, minivna, MFJ-259, N2PK VNA, Rigexpert AA-230, AA-908 etc., I chose and purchased the Italian made "miniVNA" and I am very pleased with how it works (see below some screenshots). When using the miniVNA for tuning purposes I can see a complete description of antenna parameters on my computer screen. Thus, it is easy to see, SWR, Z, Loss, Rs, Xs, Phase, BW, and Q. I can also utilize other functions that plot Cable loss, Cable length, Transmission and Generator - in a range of 0,1-180 MHz or in more narrow. There is also the program that allows you to use your "miniVNA" as a "Sweep Generator", plus the programme "ZPlots". I present some screenshots below of Pic.1, Pic.2, Pic.3 and Pic.4. I have found the use of the minvna to be invaluable in tuning EH antennas and would heartily recommend them for this purpose. Tip: Always wind more wire than you think you will need when preparing the tuning coil. Follow precisely, the steps above from Ted’s instructions and also see my CONSTRUCTION page which shows you how to connect the wiring etc. Firstly suspend antenna in mid air i.e. drill a hole in the top of the pipe and suspend the antenna from the ceiling so that there are no extraneous objects within a radius of 2-3 antenna lengths. Take a length of wire with dimensions from a known source e.g. the eh6.exe programme as recommended and add a further two coil windings because it is easier to cut, rather than add wire at the tuning stage. Everything written below assumes everything is connected up and the antenna is at the final tune stage. Note: I define the source coil wire as the wire that connects the centre connection of the SO239 to the bottom of the tuning coil. Connect the antenna through a short cable to the "miniVNA". At this stage we are trying to determine where the tuning coil is resonant. If resonance is below that required, cut the wire until just below the required frequency. Next, we look for minimum SWR on the miniVNA by unsoldering the source coil wire ‘tap’ and probe around the tuning coil to determine minimum SWR. You can also squeeze the tuning coil one way or the other to achieve a SWR of 2:1 or so. When the required frequency is near and SWR no more than 2:1, you further manipulate the tuning coil by squeezing and/or moving apart the tuning coil to achieve minimum SWR of 1:1. The next stage is to ensure that resonance, minimum SWR and maximum signal from your field strength meter all occur at the same frequency. You must use an FS (field strength) meter to carry this out. Repeat the above operations (squeezing, pulling apart the tuning coil, moving the tap from the source coil onto the tuning coil) If you cannot obtain resonance, minimum SWR and maximum field strength signal as a result of the above tuning methods, you may need to increase the length of the source coil wire or in extreme cases, add a condenser to maximize all three antenna parameters. 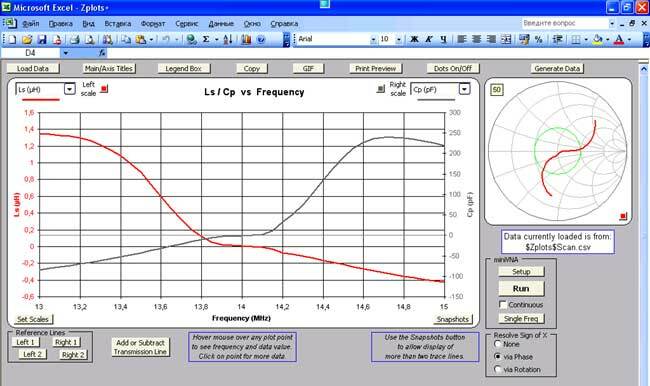 The above tuning methods should result in an efficient antenna for the frequency of your choice. You must have good ground conditions for your shack, equipment and tuning devices. This is particularly important for the critical stage of tuning simply because the EH generates extremely strong electromagnetic fields at the antenna itself which are capable of coupling with any electrical devices in the shack/house. This coupling effect also explains why there might be a change in antenna tune characteristics for an EH antenna built at the shack table compared to when you actually site it on your mast in the garden or balcony etc. Due to the strong electromagnetic fields generated by the EH antenna it is good advice to use minimum watts when tuning and certainly no more than 5 watts. The minimum watts for SWR characterisation however, will depend on the build of your SWR meter which may only operate properly when fed with say between 3 – 7 watts. The strong RF fields can be graphically visualized by using a fluorescent amp (10 – 15 watts) which will light up to brilliance even at a distance of 1 metre from the antenna.